Much uncertainty surrounded the fate of black metal pioneers Immortal following a legal conflict in 2014 over the band's trademark, which resulted in the departure of frontman, Abbath. Many found it hard to imagine Immortal without Abbath, one of black metal's most recognized and celebrated innovators, considering his involvement had been a constant since the band's inception in 1991. Following Abbath's departure in 2015, former founding member and present band manager, Demonaz, took the helm for the first time since being sidelined by tendinitis in 1998, an injury believed to have ended his career as a guitarist. 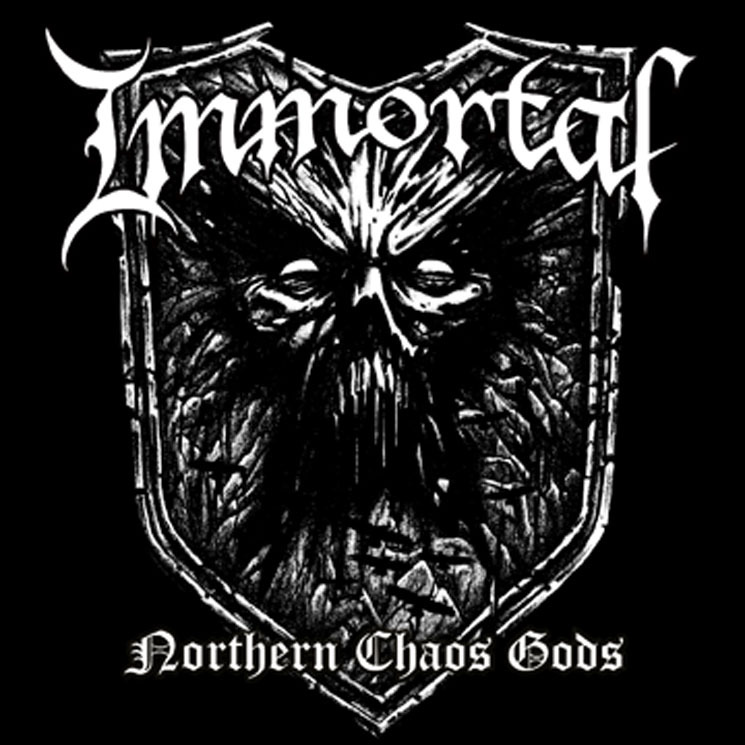 Not only would Northern Chaos Gods be the band's first release to feature Demonaz since 1997, it would also be the first without Abbath, and first in almost a decade. The album's title track opens the floodgates, drowning out any doubts listeners might have had. The track exhibits a decidedly old-school feel pulled straight from the mid-'90s, only cleaned up by some modern production in contrast to black metal's early days. The following track, "Into Battle Ride," keeps the gauge pinned, hitting just as hard as its predecessor. Following these two bangers, however, things start to go south. By the album's third, somewhat forgettable, track, "Gates to Blashyrkh," the euphoria of new material begins to dwindle and some of the album's holes are revealed. The most noticeable absence is Abbath's guitar playing. Presumably limited by his condition, Demonaz peaks early on, and the album begins to feel more and more stagnant with each passing track. In "Grim and Dark," Demonaz attempts the album's first and only guitar solo, which succeeds only in making one realize that the album is devoid of solos. "Called to Ice" sounds like a rehashed version of the second track, as does "Blacker of Worlds" — all three of which seem to reorder the exact same notes and call it a new riff — and "Where Mountains Rise" bears a suspicious resemblance to the album's finale, "Mighty Ravendark."